The Skints emerged from the DIY scene in North East London, and that community ethos underpins everything they do. With deep roots in the capital's underground community the band have become an international success, taking their punk-edged skank around the globe. 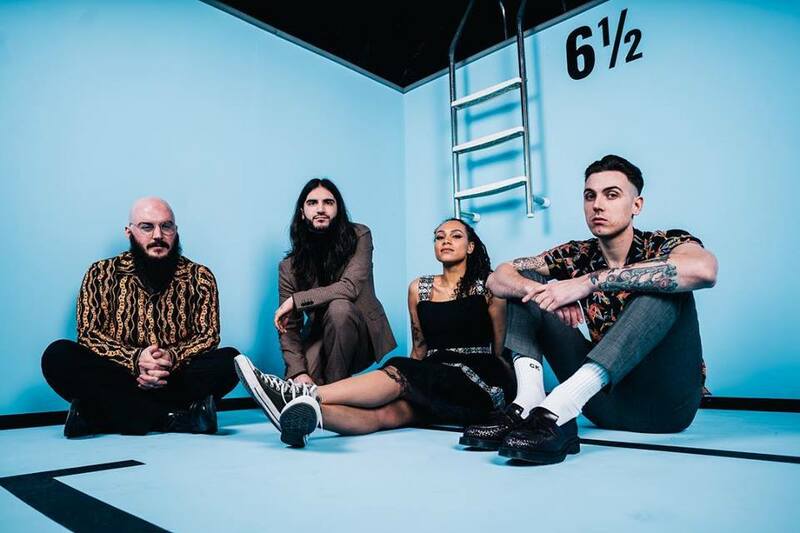 Furiously energetic, The Skints' music connects due to its emotional power, with their songwriting have a personal and political bent. New single 'Learning To Swim' is a case in point. Opening with a neat lovers rock jam, the laid-back sound is suddenly switched up for some Bad Brains style punk thrash. It's actually about learning to cope with loss, and accepting that while grief is a part of your life, those beautiful memories still remain. "For those who have lost a loved one, it’s not unusual to find comfort in the fact that you’ve spent more of your life with them than without. After 13 years of using this small comfort to keep afloat, 2019 will be the first year that the number of years without my sister Roanna will exceed the years she was around. As I became increasingly aware of this date approaching and my life raft sinking, I wrote ‘Learning To Swim’, a song that musically flips through time and space..."
"The innocent lovers rock expresses both my current musical output and the memories of my childhood that are becoming more distant. The chorus has no words, but flips to an era of punk and pop music that my sister was deeply into. Just as my mind gets wrenched back to that precious time so often, the song does too." She adds: "The feeling as the years go on that it becomes more difficult to picture their face, to hear their voice. The rest of your life without them stretches ahead of you like a vast sea – it’s time for Swimming Lessons."